All professional development shall empower educators to meet learner needs. All professional development tasks must be aligned with the district goal of customizing instruction and experiences to help learners take their next step. All learners shall grow (academically) and develop (habits and skills) to be world ready. Articulate, fluent, and analytical readers at or above grade level who are ready to apply their skills to the world. Able to apply mathematics and scientific thinking in real life through effective communication and collaboration at or above grade level. At or above grade level in all academic content areas and be able to apply the essential understandings of the discipline to life after the Beresford School District. College-bound Watchdog graduates will be college ready by meeting set criteria. Future Watchdog graduates will be career ready by meeting set criteria. Eighty percent (80%) or more of students that have participated in Choral and Instrumental Music will be advanced or proficient as measured by our designed qualitative and quantitative age appropriate indicators. Eighty percent (80%) or more of students that have participated in Visual Arts will be advanced or proficient as measured by our designed qualitative and quantitative age appropriate indicators. Eighty percent (80%) or more of students that have participated in Theatrical Arts will be advanced or proficient as measured by our designed qualitative and quantitative age appropriate indicators. Athletic programs will create a community environment where youth programs are mentored and developed so that when students enter 7th grade they have a basic skills set and appreciation of the game to set the groundwork for middle school and high school athletic success. Athletic programs will be competitive based on the various measures—preparation and performance for contests, personal and team records, conference standings, region seeding, and state level competition. All K-12 students will be engaged in the school and community through action and service. Volunteerism, community service, and service learning opportunities will be created at each grade level to engage students in giving back to their school and community. All K-12 students will be engaged in character-building activities throughout their school years. Character-building opportunities will be created at each grade level to engage students in positive behaviors, choices, and decision-making. 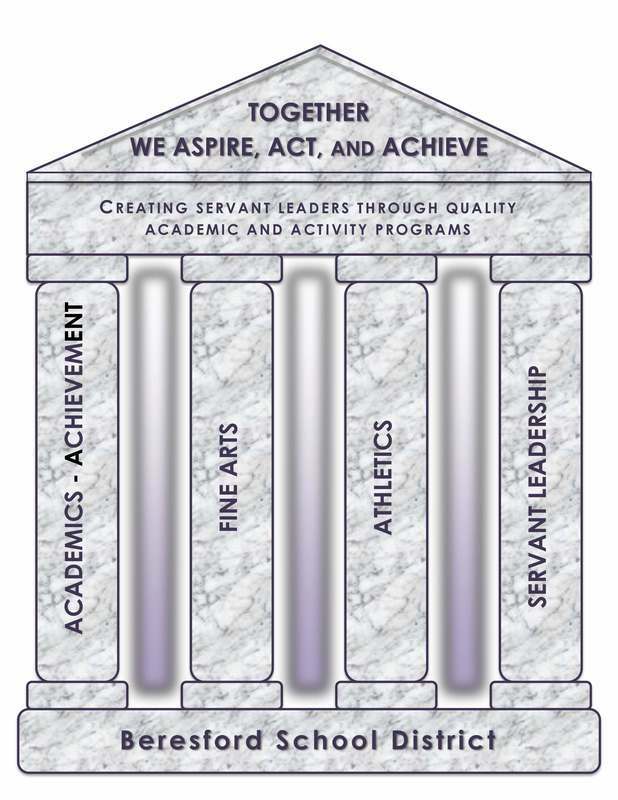 All K-12 students will be engaged in leadership-building activities throughout their school years. Leadership opportunities will be created at each K-2, 3-5, 6-8, and 9-12 grade level span to engage students in their academic and activity programs.